From November 4 to December 11, Kim? 1st floor: “Techno-Ecologies”, an international exhibition for media art and innovative design during XIII International Festival for New Media Culture “Art+Communication 2011″. “Techno-Ecologies” is the theme of this year’s “Art+Communication” festival that explores how we inhabit the deep technological spheres of our everyday life. It has become so intimately interwoven with complex technological ecologies that we can no longer consider technology as the alienating other. A careful consideration of the relationship between the natural and the artificial is required. “Techno-Ecologies” concept for this festival is built by Eric Kluitenberg upon the concerns of Felix Guattari (the French philosopher and co-conspirator of Gilles Deleuze) about the lack of an integrated perspective on the dramatic techno-scientific transformations the Earth has undergone in recent times. Guattari urges to take three crucially important ‘ecological registers’ into account: the environment, social relations, and human subjectivity. Artists in the “Techno-Ecologies” exhibition will introduce with their diverse and creative approaches in building technological ecologies perspective and dealing with environmental and social sustainability issues. Belgian artist Bartaku, who explores the transformation of light into electrical and nutritional energy, in his PhoEfarium artwork introduces how to make solar cells by your own – from glass-based to edible ones; whereas The Toaster Project by British artist Thomas Thwaites is a story on artist’s attempt to build a simple electric appliance – the toaster – from scratch. French artist duo Scenocosme explores relationship between nature and digital technology – their Phonofolium artwork is interactive installation that displays a living tree reacting to the human touch by sound and voice. 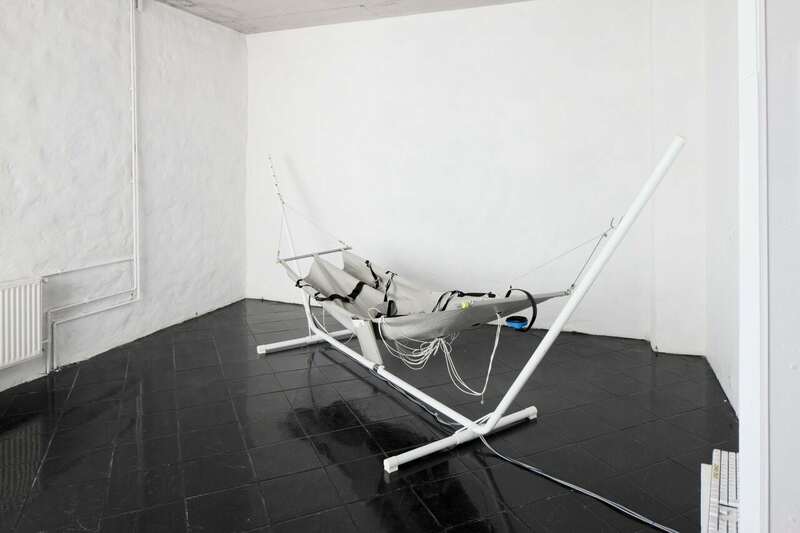 Aptium by Franco-german artist Lynn Pook invites visitors to lay-down in a hammock and in an unexpected way to hear and feel sound, which is specially composed for this installation in collaboration with Julien Clauss. 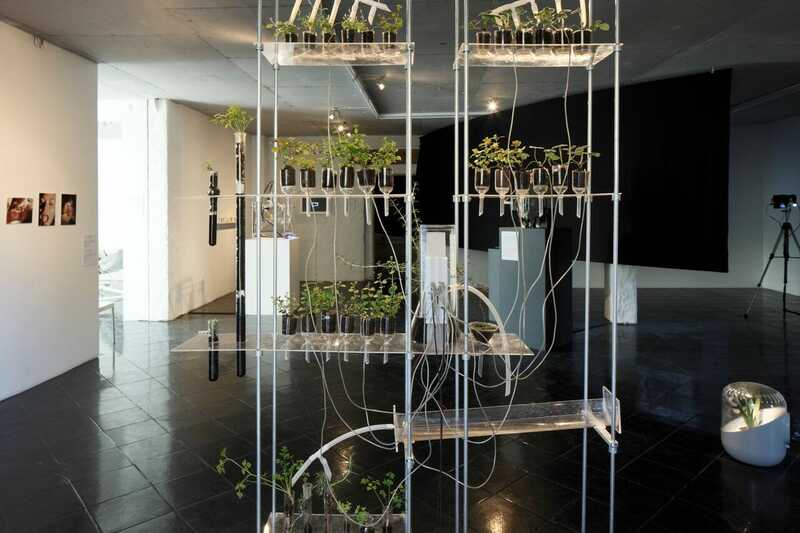 Another exhibition piece – Andrea, is designed to improve houseplant capability of purifying the air with an increased efficiency, it is the joint invention by Paris-based designer Mathieu Lehanneur and Harvard professor of bioengineering David Edwards. 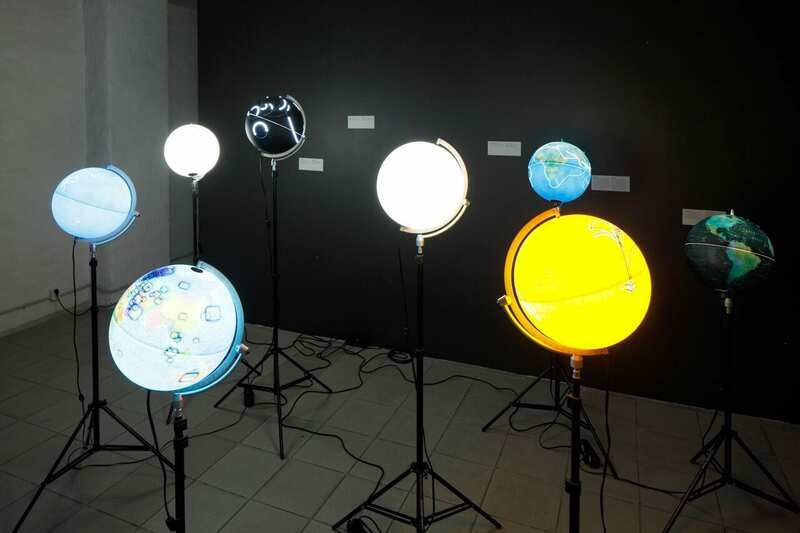 RIXC artists collective: Rasa Šmite, Raitis Šmits, Jānis Garančs, Mārtiņš Ratniks / RIXC (Latvia) have developed Renewable Network Interface – an online research tool that maps artists, projects and fields that emerge on the boundaries of art, energy and open information systems. The “Techno-Ecologies” exhibition also displays many other unique and interesting artworks by inernationally recognised artists from different countries of the world, including Worldprocessor by Ingo Günther (Germany); Plantas Parlantes by Popkalab artists: Ricardo O’Nascimento (Brasil), Gilberto Esparza (Mexico), Javier Busturia (Spain), Jingni Wang (China) and Jelle Decker (The Netherlands); O.T. by Ulrich Vogl (Germany); Psworld by Julian Oliver (New Zealand / Germany), Deaddrop by Aram Bartholl (Germany), m/e/m/e 2.0 by Danja Vasiliev (Russia / Germany). In addition to the exhibition, in Kim? venue at Spīķeri, 3 workshops took place in November 4 and 5 (12.00 – 18.00): SonicDrift workshop was conducted by memelab artists (Canada), Symptoms Riga workshop – by Martin Howse, and Talking to the Plants by artists from Popkalab, in which they demonstrated how to build an interactive sound generation system by using simple electronics.